Members – Must be a current financial Member of the Club in accordance with the Club Rules and must present their Membership Card upon entering the Club. Guest of a Member – Must be signed in as a guest of a Member of the Club and remain the responsibility and in the company of that member for the duration of the visit. Visitors – Must be an authorised Gaming Visitor which resides more than ten (10) kilometres radius from the Club. All persons wishing to enter the Club – Must comply with the Club Dress Regulations. Minors are classified as persons under the age of eighteen (18) years of age which must be in the company of a responsible adult at all times. A responsible adult is deemed to be a person over the age of eighteen (18) years of age and a spouse, parent, grandparent, stepparent or legal guardian of the minor. Minors are not permitted in any Gaming areas of the Club and will not be permitted to be served or to consume alcohol at any time. Smoking is not permitted within the Club premises (unless in designated areas). Maintain the quiet and good order of the neighbourhood – no excessive traffic noise or music when leaving the Club’s Car Park or surrounding streets. 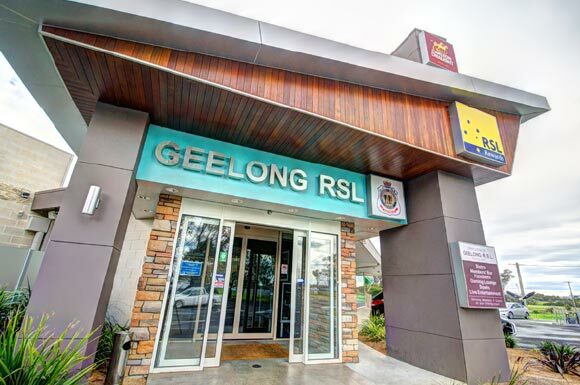 Geelong RSL Sub Branch Inc. provides a comfortable environment where patrons are able to enjoy their surroundings and use of Club facilities without disruption from others that are inappropriately dressed or behave in an unacceptable manner. So as to ensure patron compliance with these principles, standards have been set for dress and behaviour. All clothing must be neat, clean and in good repair at all times. CLUB MANAGEMENT RESERVES THE RIGHT TO REFUSE ENTRY TO ANYONE IF, IN THEIR OPINION, THEIR STANDARD OF DRESS OR BEHAVIOUR IS CONSIDERED UNSUITABLE. THEIR DECISION IS FINAL. Management reserves the right to refuse entry to any person who does comply with the above dress regulations or ask them to leave the Club at any time.